The sonic character of New York City's Village Vanguard is one of sound as memory. 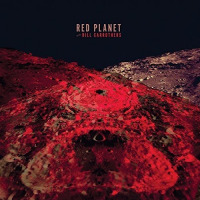 There is a pillow of pungent warmth and familiarity surrounding the sounds captured that can be heard on the early recordings, like Sonny Rollins' A Night At the Village Vanguard (Blue Note, 1957), Bill Evans' The Complete Village Vanguard Sessions, 1961 (Riverside, 2005), and John Coltrane's The Complete 1961 Village Vanguard Recordings (Impulse!, 1997), as well as the later recordings like Tom Harrell's Live At The Village Vanguard (RCA, 2002), Al Foster's Love, Peace and Jazz (Jazz Eyes, 2007), and Martial Solal's Live At The Village Vanguard: I Can't Give You Anything But Love (CAMJAZZ, 2008). 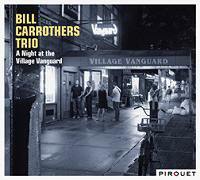 That famous sound is captured in all its smoky warmth on the Bill Carrothers Trio A Night At The Village Vanguard. Carrothers, along with close friend/pianist Marc Copland, has been instrumental extending the piano language created by Evans, transforming it from impressionistic to expressionistic, while retaining an introspective nature. 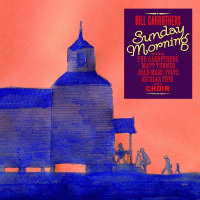 Carrothers relies on Joyspring (Pirouet, 2010), his recent tribute to the music of Clifford Brown, for a good part of the recital, kicking things off with the trumpeter's up-tempo "Tiny Capers," where the pianist extracts the bebop from Brown's hard bop. That is followed by a lengthy medley of Brown's "Joy Spring" coupled with Victor Young's "Delilah." Carrothers also draws on the compositions by Brown's pianist, Richie Powell, for "Gertrude's Bounce" and "Time," giving a full accounting of Brown's famous quintet with drummer Max Roach from the early and mid-'50s. 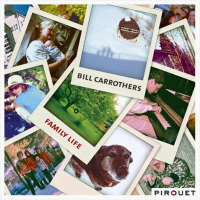 Amid all of this hard bop, Carrothers throws in his sideways blues, "Home Row," from his 2010 Pirouet disc of the same name, mixing in a bit of modernity as the pianist slowly incorporates the young and old into something new and vital. He does the same with his inventive and exciting "I Got Rhythm" montage, "Discombopulated." 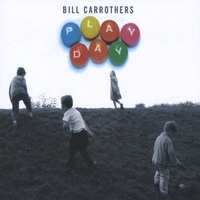 This add a level of performance tension that reveals Carrothers as a capable bandleader directing a performance for maximum listening pleasure. In the end, it is the exquisitely unique sonics of the room that crown this very fine performance. There is a nostalgic, analog warmth in these pieces that recall Evans' famous recordings 50 years ago, while at the same time showing how far piano trio practice has come since that time. 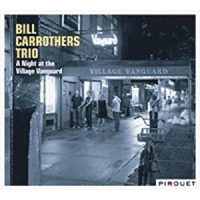 Carrothers turns in a definitive trio set a the definitive jazz club. Track Listing: CD1/First Set: Tiny Capers; Joy Spring/Delilah; Gerkin for Perkin; Gertrude's Bounce; Jordu; This Is Worth Fighting For; Home Row; News From Home; Let's Get Lost; those Were The Days. CD2/Second Set: Junior's Arrival; Time; Jordan Is A Hard Road To Travel; Peg; Blue Evening; Discombopulated; Snowbound; Days Of Wine And Roses; Our House. 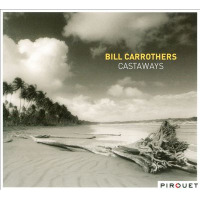 Personnel: Bill Carrothers: piano; Nicolas Thys: bass; Dre Pallemaerts: drums.